We will meet at our snowmobile rental center located in Ste-Marguerite-du-Lac-Masson at 9 a.m or at 1:30 p.m. You will file some formalities such as rental agreements. 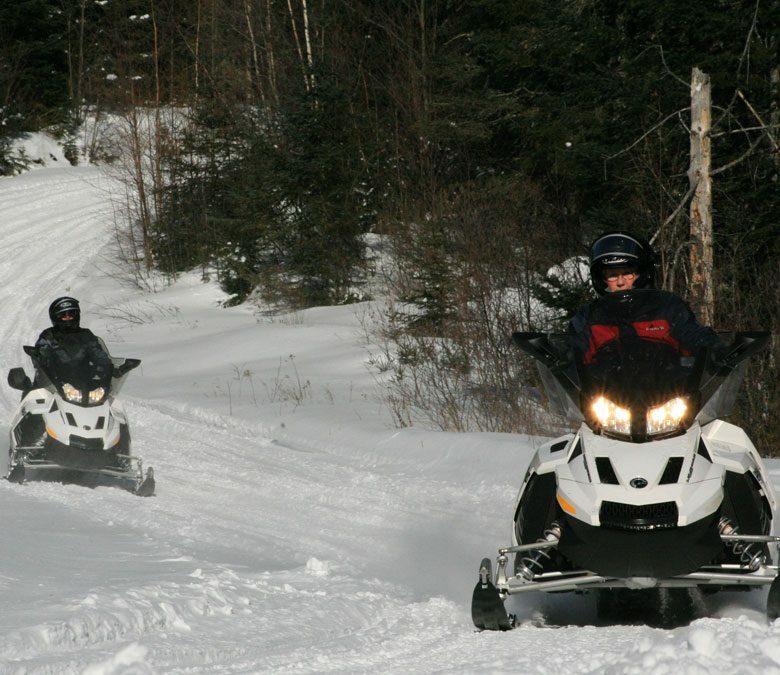 Then, you will receive your snowmobile equipment and learn some security rules and driving advices. You will also receive training from your guide, and then be able to explore and enjoy the Quebec network of trails by yourself. In this escapade you will have the opportunity to see the most beautiful landscapes that Quebec has to offer. You will cross magnificent snow-covered forests and mystical lakes. Your guide will carefully lead you all along the way and will customize this ride to your wishes and needs. For every rent from Monday to Friday, we offer $10 discount per snowmobile for a half-day and a $20 discount per snowmobile for a full day, including taxes. This offer will be effective from Monday, January 7, 2019.